I've waited months to order this magnificent car power device, so imagine my delight when it got here sooner than I expected. I decided to open it at Mom and Pop's Auto where it was to be installed. Soon it was out of the box and being admired. The next thing we did was read the directions. Then we checked out my Jeep and decided where to install it. Of course I pestered them to let me know how long this was going to take. They couldn't come up with an answer as they didn't know how difficult it would be to guide the wire through the firewall of a Jeep. So I left them with the vehicle and went on to do my chores for the day. An hour and a half later I got a call that my Jeep was ready for action. I could hardly wait to get going. The very first thing I noticed was that the engine was quieter. It seemed to run smoother. I was pretty excited to notice something right away. My car spends most of its time in a parking lot but I am now going to change that. I drove it over the hill to Port Alberni and back, planning to catch the ferry home at 5:30. I missed the ferry so drove around some more ending up at Englishman River Falls and parked for the night. It was very pleasant to drive. I actually enjoyed driving around. It felt good in my car. I slept in it and slept very peacefully. I noticed I could hear the sound of plasma occasionally although it wasn't as steady or loud as the whistle hum that's always in my house. I'll fill up the tank and see how many miles I get. I'll let you know all the changes as they happen. I was talking to Shelley by phone as she was unpacking the box. She hardly made sense she was so excited. As it is European Certified it came with adapters to be used in our electrical system. We decided to get together the next day to get it ready to plug into the refrigerator. In the meantime, we read the manual and found that it hasn't caught up with the latest developments in installing units yet. We didn't want to void our warranty so the next call is to Technical Support for advice. I was concerned about the way the adapters fitted together. I didn't hear a snap! 1. Test the wall plug for the live side with the included tester and mark the wall socket accordingly. 3. Plug in the refrigerator. This polarity doesn't matter. It is no more mysterious than this. If there is no ground, there is no ground... It's not an issue. The ground does nothing in respect to the Magravs unit. It cannot be plugged in backward unless you alter the plugs incorrectly." 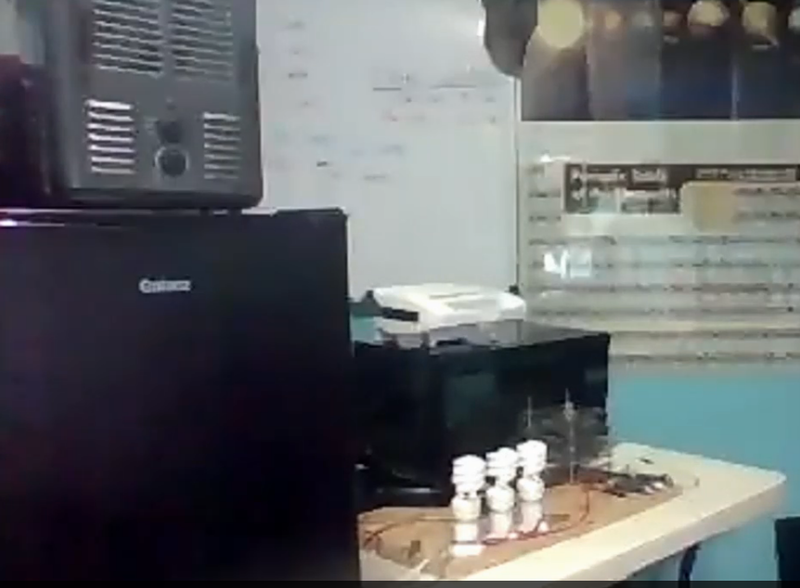 About our question on how we had inserted the adapters, John said, "As far as I can see they are plugged in correctly. There really isn't any way to do it wrong. That being said, I need to inform you that using adapters may cause issues with the unit. We have a fairly high failure rate with folks using adapters and in most cases it is the adapter. They don't damage the unit, but can cause issues with plasma flow." "It is recommended that you change out the plugs for the standard in your area and thereby eliminate the issues adapters cause. If you chose to do this, please ensure the polarity is maintained and it is required that you send clear and detailed before and after pictures to Tech support to protect your warranty. If this is something you are not confident to do, please consult a competent individual." The mission to the Oval Office with the plasma energy generator is 7 hours underway. We are the solution makers. The delivery of a plasma technology energy generator to the White House will be this Sunday August 14, 2016. 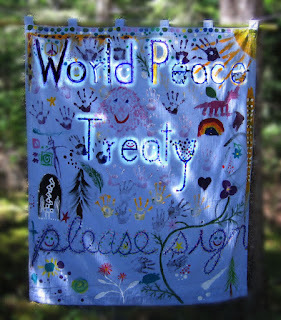 The governments of the world will see that, we the people, are ready for World Peace. 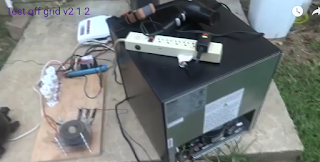 Even though we realize the principals of the Oval Office may be on holiday, this is the time for the world to know how to make a plasma generator, see it working and see its simplicity. Simultaneously the blueprints will be delivered to the Chinese and Russian governments. The world’s governments have been given a prior chance. 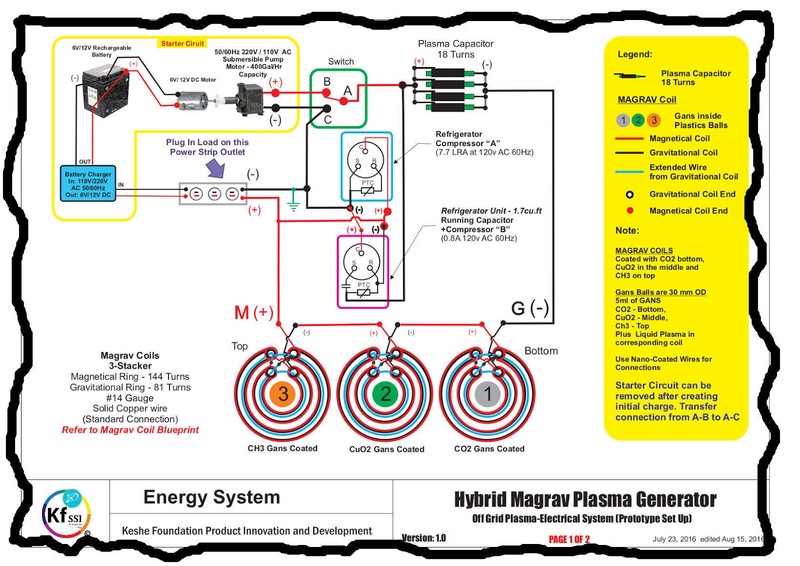 Operational Magrav Power Units were given to them several years ago but very few governments chose to accept the transition the economy would have to do to use them effectively for humanity. The tenures of world leaders to abuse us is hereby terminated! Even those that professed to be willing to bring this technology to their people have come up with delaying tactics. No more. We the people are putting the world face to face with this technology. This is a very big step for us. We can govern ourselves according to the ancient ethos. We are here to serve each other. We are here to change life on earth. We refuse to allow governments to dictate what they want us to do. This is our first major move to stand as one nation, one race and one planet. We are the new law, the new structure. Energy and food are sancrosanct. This is not just a new power unit. This is a new way of thinking and we are standing and declaring our position. This new technology is clearing out the old. We are starting the change. We are not waiting for change to come. The delivery of one of the plasma technology energy generators to the White House will be this Sunday August 14, 2016. The blueprint will be conveyed as well and Mr. Obama will be shown how to make a generator for the White House power supply. Simultaneously the blueprints will be delivered to Chinese and Russian governments. This disclosure will change the course of energy management worldwide. These units have been developed by members of humanity all over the world. People are here to serve one another. Mankind is using energy as the tool of peace. The war games are over. Not only is humanity creating free energy; we have created clean water, free food, non-GMO agriculture, free travel, free health, and free medicine. A major transformation is underway for humanity. Please governments, facilitate this modernization with ease and grace. Douglas Edwards is leaving from Bentonville, Arkansas at noon on Saturday August 13, gathering supporters along the way, to be in Washington to deliver the generator unit Sunday midday. We are not sorry that we are pressuring governments toward world peace. The economic system of this planet is rotten to its core. We are changing it. War is no more. There is no need for oil. The slavery of man to money is over. Plasma technology mimics the creation of the universe. 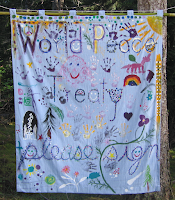 Peace is here. I date all my website submissions because receiving Keshe plasma technology devices is challenging the worldwide economy that is afraid of such major change; so check the dates to get the most current information. The first Keshe device ordered by Grassroots Healing Foundation for a client, Shelley, was a House Power Magrav. We are told to be prepared for a 90-day delivery from the time the Keshe Foundation receives the money for the product to arrive at your door. Because this is new technology, that is now only proving its reliability, all the easy ways to get money to Keshe Foundation are either blocked or you have to spend a lot of cash to get your money there. The Keshe Foundation is doing its best to make it possible to use your credit card. This will be happening soon. The easiest way at present is to use transferwise.com. After I received Shelley's money and put it in my bank account, I processed it through to the Keshe bank account. This Transferwise process usually takes four days, and costs a mere 1.2% (less than $15 CAD) when you are sending amounts above $333 CAD. The minimum fee you will pay for their services is $4 CAD. There are no hidden charges and Transferwise expresses absolute transparency. 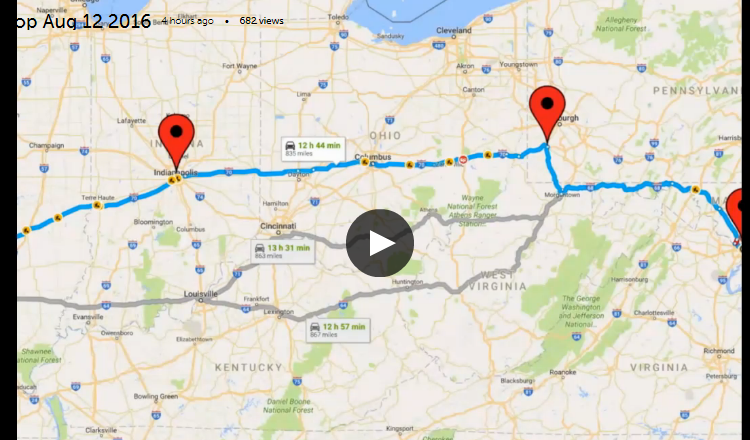 If there is any delay in getting your money to the destination expect to get an email. I did. They also let me know as soon as the money arrived in the Keshe bank account. This is great so I could keep Shelley apprised of the progress. Within a week, the Keshe Foundation let me know they had received the money and I was able to let my client, Shelley, know. On August 1, 2016, I received an email from TNT.com, a leader in express transport, saying they had received a package from Keshe in Italy and it was on its way and could be tracked with this number so I was able to let Shelley know it was on its way. I checked the next day and could hardly believe that it was supposed to be here the next day, August 3. 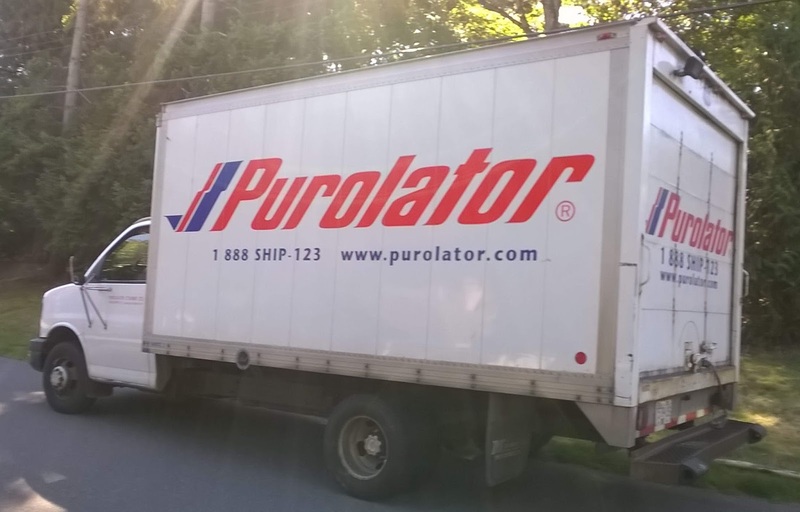 Shelley looked out on her driveway and there it was being delivered by the Purolator truck. Wahoo!!! Despite what you see going on in the world, humanity is asking for PEACE. As this is happening it means everyone who is employed in war preparation is out of a job. Can your country follow the lead of Iran as it turns its military into Armies of Rescue for help in natural disasters, with the remaining personnel being used to Build for Humanity. Iran explored the talents of its military personnel in literature, mathematics and biology. The people interested in literature were guided into teaching in areas of their choosing. The people interested in mathematics built schools, community projects and roads. The people interested in biology started working in the health field. Everyone received training to prepare them for their new employment. The Keshe Plasma Technology, as well as bringing us peace, is creating new avenues for employment that require governments to rethink their prior military engagements into peaceful activities. Step back and look at this. Gold has become the curse of humanity. Today people find themselves having to be busy filling their pocketbook instead of doing what they really want to do, satisfy their soul. Imagine a world where we do not have to compete with one another to support ourselves! Your soul can come into balance with your physicality. And yes, the military can be used to serve the soul of man. As tends to be a bit of a stretch for many of the governments of the world, I suggest we each, individually, become Ambassadors of Peace and gift our presidents and royalty with gold, flooding our governments with gold to pay for whatever we are taxed. The Keshe Foundation, of which you own 49%, will show you how to make gold out of water. Yes we can use this “advanced”, very simple technology to create gold as well as other valuable things. We can produce whatever matter we want with plasma fields. You really can have everything, including PEACE. This is a new beginning for humanity. 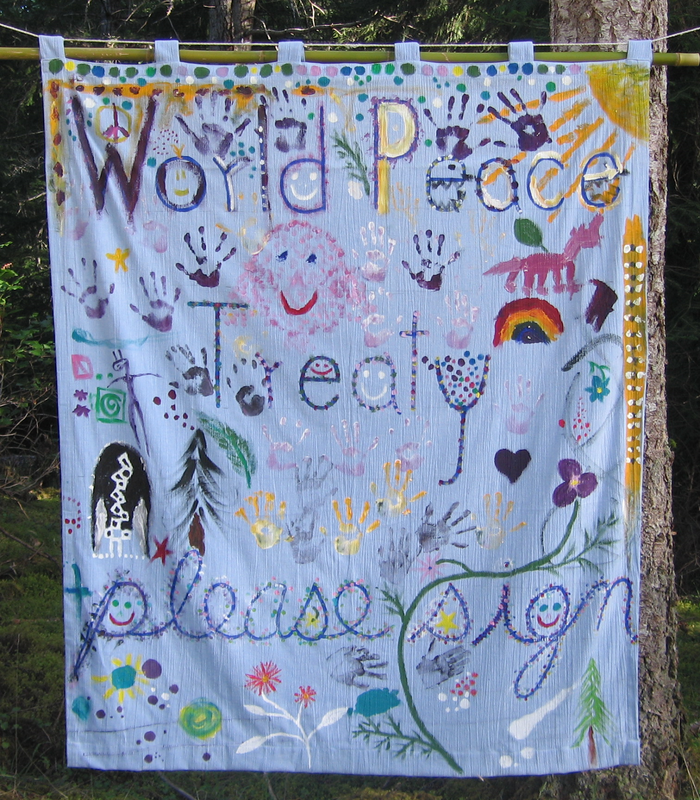 Are you an Ambassador of Peace?